In 2009, I found myself recently married and living in a new state (Arizona), away from all my family and friends (though with my new-husband/love-of-my life). To keep everyone in the loop on our new adventure, I started blogging and sharing bits and pieces of desert living and newlywed life. Occasionally I'd write about my shenanigans in the kitchen (as a newbie home chef, there were some epic fails that unfortunately husby had to stomach, bless his heart). I also posted my successes, including a Beef Pot Pie that has stayed in my recipe binder to this day. What looking back at the archives did do was inspire me to create some re-boots. 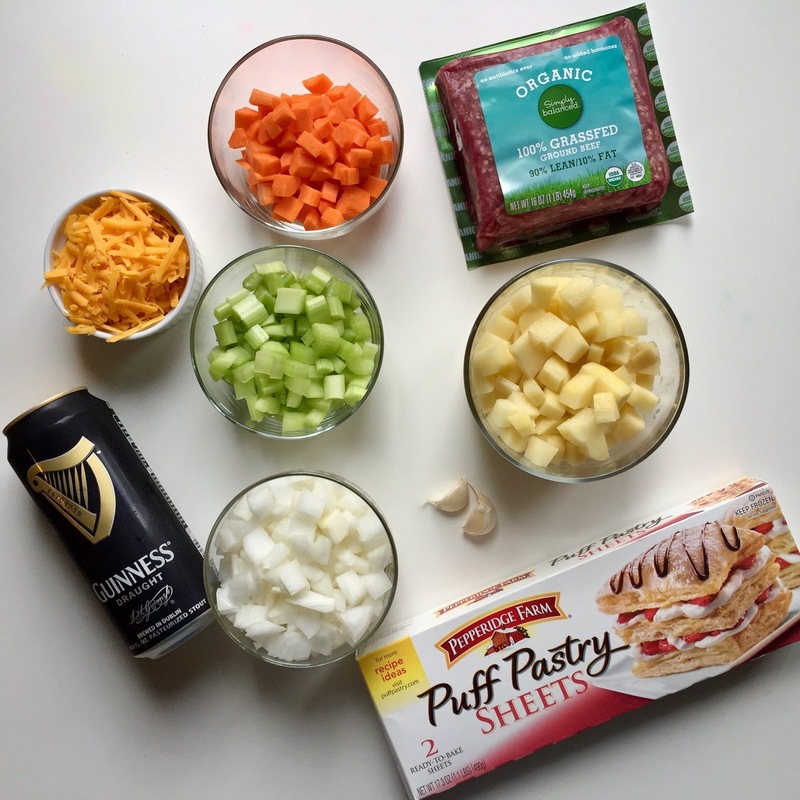 The Beef Pot Pie recipe literally wasn't in the original post anymore, so why not give it the 2016 2017 treatment? Thus, Throwback Thursday. An old blog post with a new twist! 1. Preheat oven to 375. Start thawing puff pastry. 2. 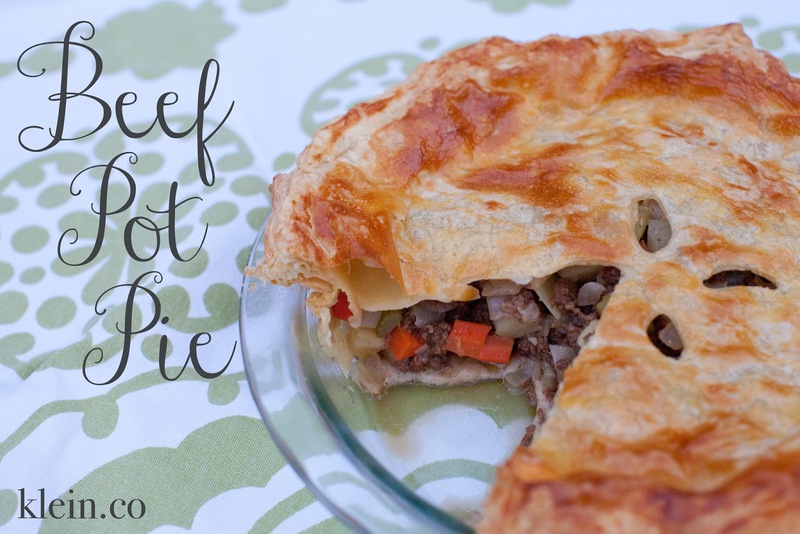 In a skillet, combine beef, carrots, onion, celery, garlic and potato. Cook over medium-high heat for 15 minutes. Lower heat, add Guinness and cook for 10 more minutes. Remove from heat, stir in cheese, 1 teaspoon salt and 1/2 teaspoon pepper. Let cool. 3. 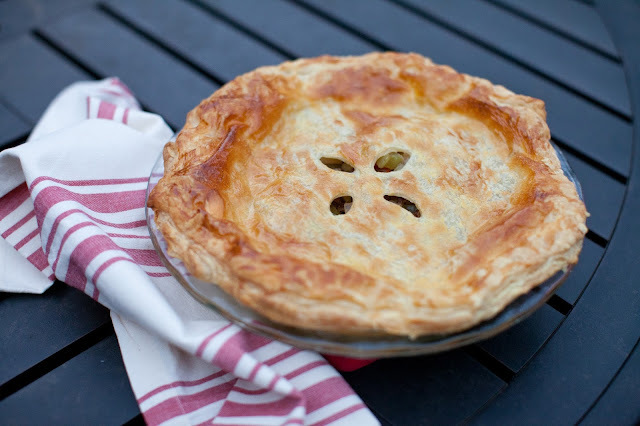 On a floured surface, roll one puff pastry sheet and place in a deep pie dish. Roll the second and leave ready. Using a slotted spoon, transfer the meat mixture to the pie dish. Make egg wash and brush on the edge of the crust. Cover with second sheet of puff pastry. Press the edges to seal and trip with kitchen shears. 4. Brush the top with more egg wash and cut an X into the pastry. Bake for 45 minutes, tenting with foil about halfway through (or whenever crust begins to darken). Cool on a baking rack for 15 minutes, then enjoy! 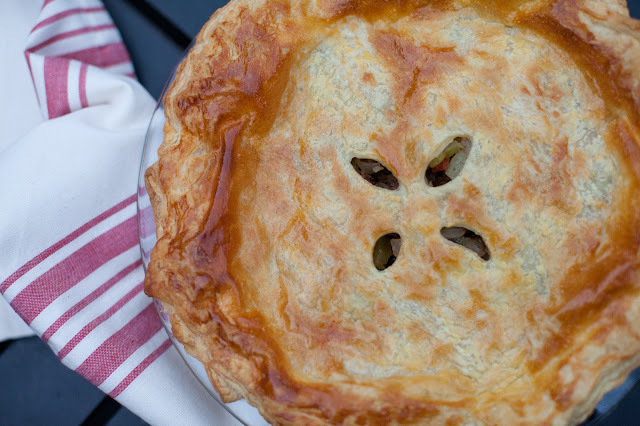 This pie is decadent and flavorful, and often I serve it by itself since it covers all my requirements for dinner (a veggie, a protein and a carb). The meat to veggie ratio actually favors the veggies, so I feel good about serving it to my boys, and they're both fans (after I served it last, Parker insisted on writing "Pot Pie" and drawing a picture of his slice). it looks so yummie thanks for sharing! Yummy! I will have to try this... I am a clueless cook but I'm learning! Well this sounds divine. Confession - I've never liked chicken pot pie, which is weird since I love chicken. But beef pot pie? It sounds amazing! I'll have to try this! 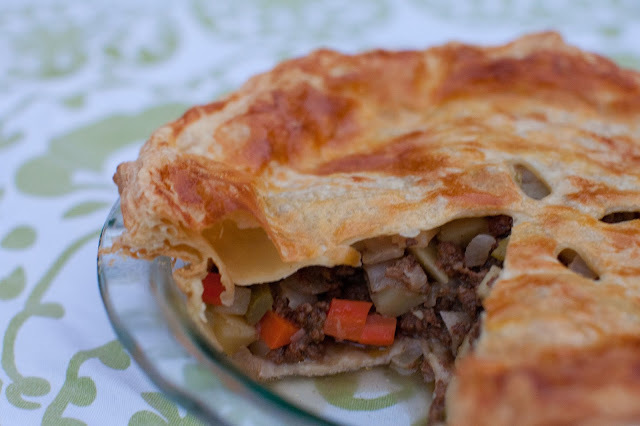 Using a puff pastry is such a good idea! 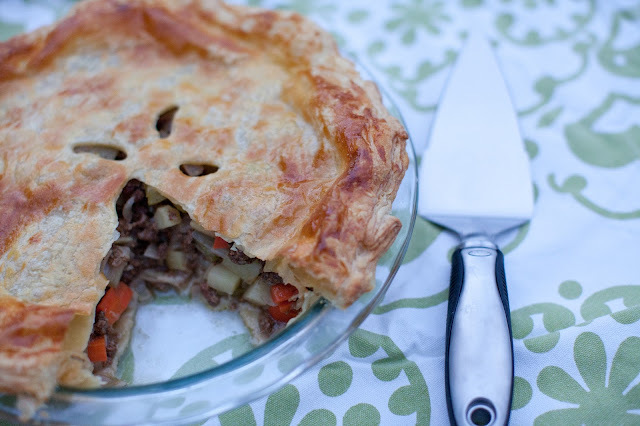 We always use pie crust. Need to try this soon!! This looks delicious! I love the Throwback Thursday concept that you're rocking with this post - especially because I think I have a few posts that I could (should!) do the same thing with. Yes! It's so much fun to go back with more knowledge, experience and practice!! Well, fun and a tad bit embarrassing looking at some of the photos from EIGHT years ago, eeeks! Even the iPhone cameras have come such a long way!